Google has just rolled out a new version of Google Hangouts. Previous posts promised a comprehensive update, but this seems to be wrong. 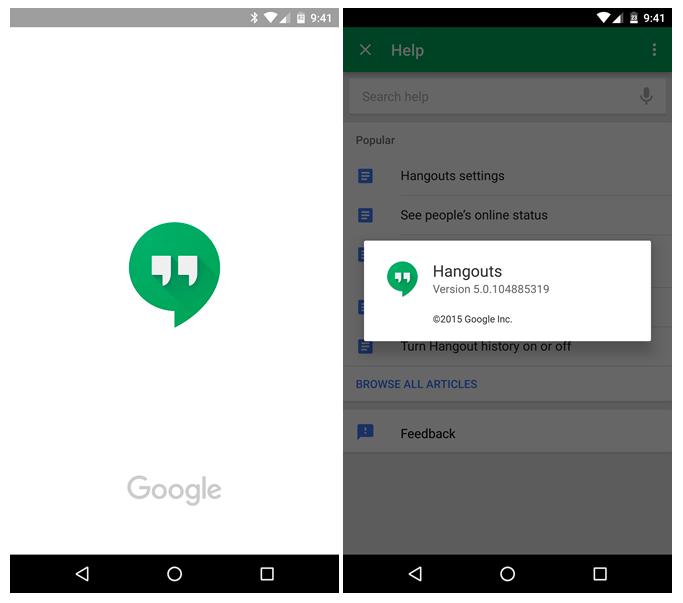 Hangouts 5.0 includes a number of adjustments and improvements. Google Hangouts 5.0 has just been rolled out by Google. The new version of the chat app would contain the most improvement, as did several media reporting before, but this turns out to be wrong. The only improvements that have been implemented by a number of bugfixes. Among other playing GIF's should now be better in the new version of Hangouts. When starting the new version of Hangouts is that there is a splash screen was added by Google. 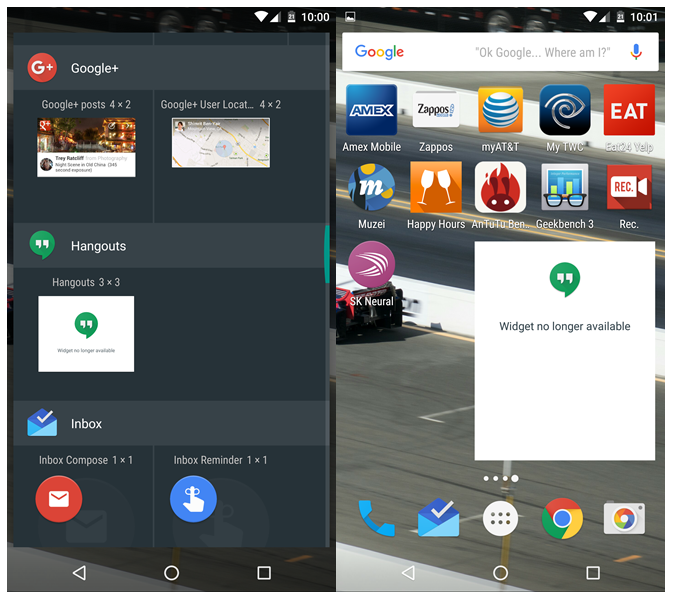 With the arrival of Android 6.0 Marshmallow, Google added splash screen to its many of the apps. Also, there are no major changes noticeable in the new version of Hangouts 5.0. However, there appears when using the 3 × 3 widget text widget that it is no longer available. 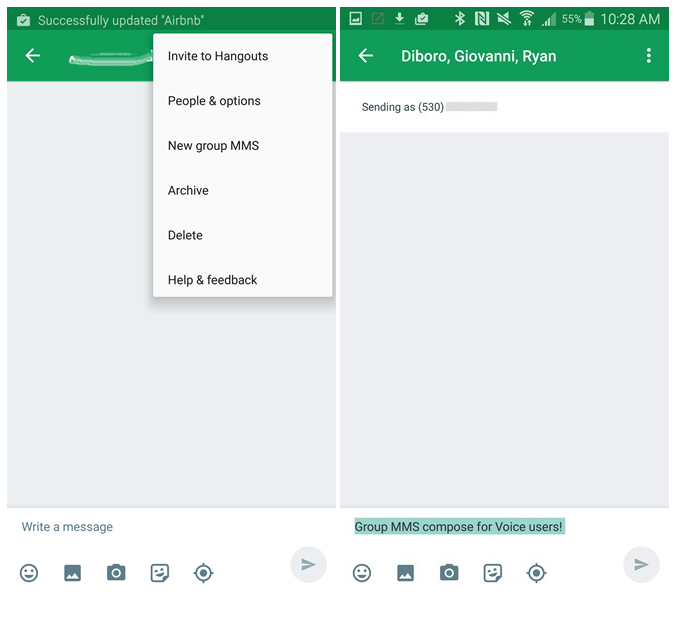 Also MMS compose is now available for Google Voice users in Hangouts. Before this update, this option was only available for normal phone numbers - Google Voice users were only able to receive and respond to group MMS messages, not start them. If you can not wait until the update is in the Play Store, you can see the Hangouts 5.0 APK download. Downloading and installing the APK file at your own risk.